Today’s solar eclipse came and went. For some people, it was glorious. For much of the UK, it was unfortunately hidden behind cloud. I went outside and saw the monotone clouds obscuring the sun, but didn’t get to see the eclipse itself. I saw the light dim, I felt the air grow cold, but that was it. Ho hum, there’s always next time! 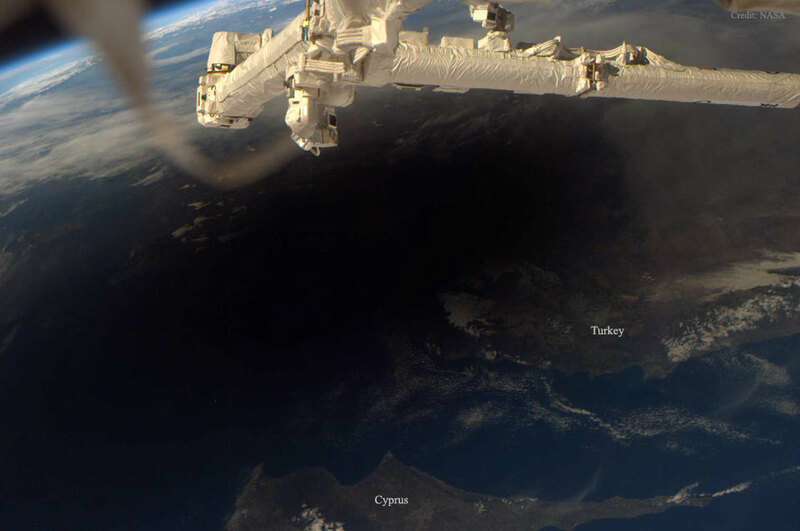 The above image from APOD shows what a solar eclipse looks like from space: a monstrous black shadow speeding across the Earth. That is what it would have looked like today in northern Europe. Today’s APOD image shows a different perspective, detailing the moon with sunshine and Earthshine upon it, which I thought was pretty cool. Did you manage to personally witness the solar eclipse? If so, lucky you! Onwards! This entry was posted in Photography, Science and tagged APOD, Astronomy Picture of the Day, cloud, Earth, Earthshine, eclipse, International Space Station, ISS, shadow, solar eclipse, Sun, sunshine, total solar eclipse. Bookmark the permalink.